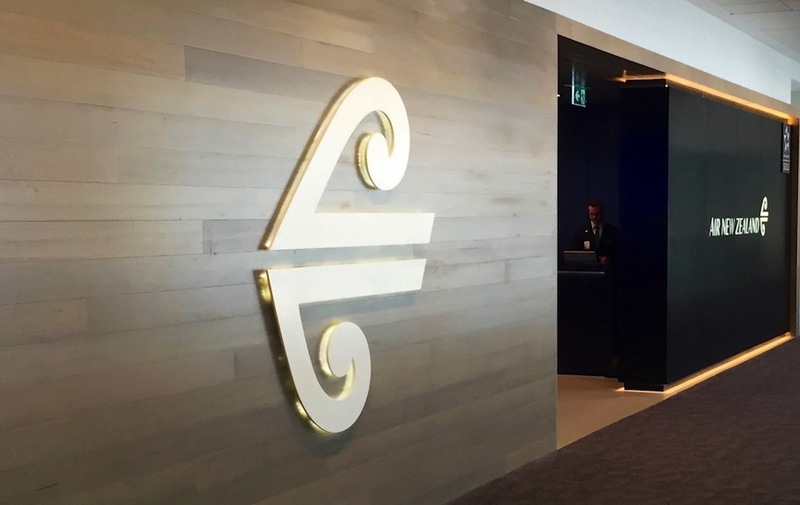 Canada’s flag carrier flies direct to Vancouver from Sydney, Melbourne and Brisbane, opening up award space across the Pacific, which is one of the hardest routes to redeem on in the world. In this guide, we outline the most common routes Air Canada operates from Australia and beyond; pricing, searching for and booking Air Canada flights with frequent flyer points; how to choose the best Business Class seat on your flight; and lounge access at key airports. Qantas also operates a 3x weekly service from Sydney to Vancouver on a Boeing 747 during the months of June-July and December-January. 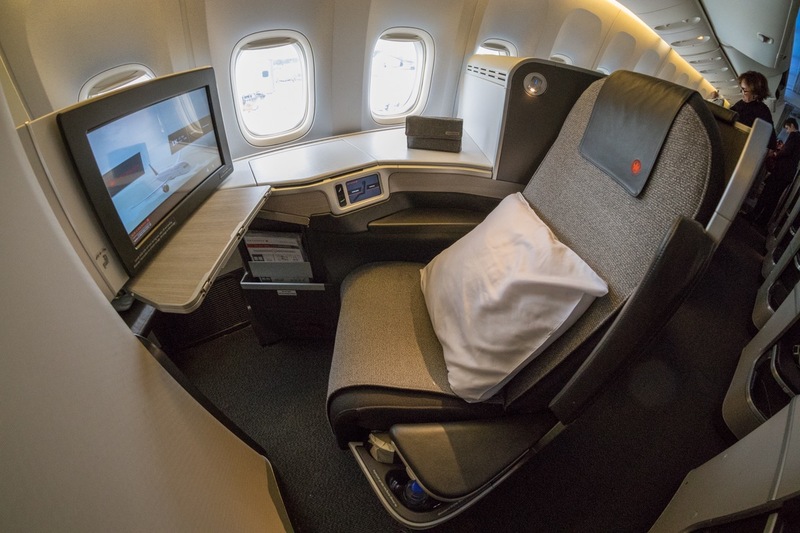 On all three Air Canada flights, you’ll get the same lie-flat reverse herringbone Business Class seat with direct aisle access in a 1-2-1 configuration. 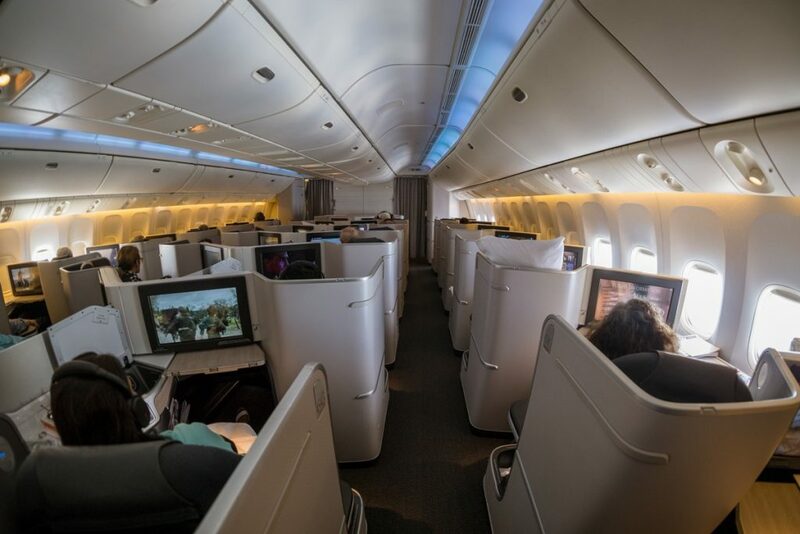 Economy Class is configured as 3-3-3 on the Dreamliner, with the 777 squeezing in an extra seat in the middle as 3-4-3. From Vancouver, there are two common options for Australian travellers: flying onward to Toronto or New York. The same aircraft and flight number of the Sydney flight continue on to Toronto with a less-than-two-hour layover in both directions to/from all three cities, making that connection quite convenient. If you wanted to fly on to New York, you again have the option of a short layover and taking a Boeing 787 with Air Canada. We previously reviewed this flight when it was operated by an inferior Airbus A319. Other Air Canada services are focussed on flights between Toronto and Latin America, the Caribbean, Europe and North Asia. 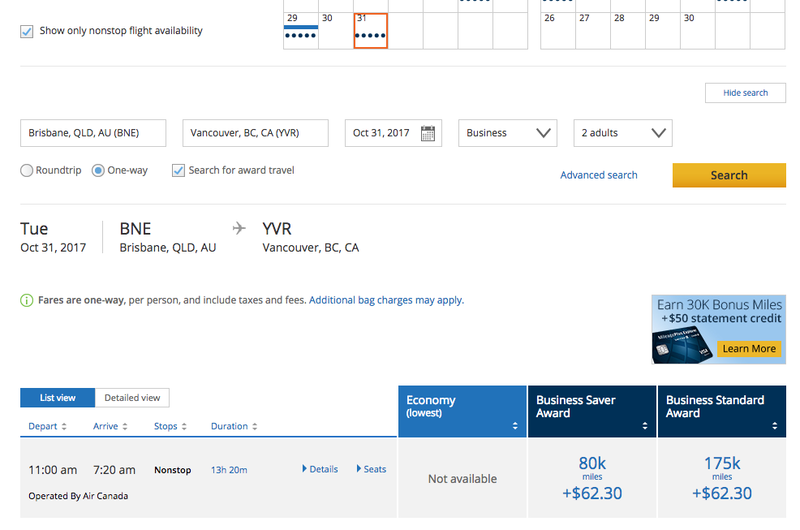 For comparison purposes, a cash ticket from Australia to Vancouver return starts at $5500 return in Business Class and $1500 in Economy. For just the Transpacific flight, choose MileagePlus or LifeMiles. You can see that KrisFlyer is quite a bit more expensive than MileagePlus and LifeMiles redemptions on the Transpacific route after the devaluation in December 2017 but we’ve still listed it first as it is a much more common program for travellers in Australia to be involved in. The other two are 37,000 points cheaper, though. For a flight within Canada, choose KrisFlyer. If you’re just looking for a domestic redemption within Canada on Air Canada, KrisFlyer offers you the best value. Sweet spot: for a more extensive North American trip, choose MileagePlus (winner) or KrisFlyer (runner up). Both of these programs offer one free stopover and an open jaw (fly into one airport and out of another) on roundtrip awards, i.e. double the one-way pricing above to 160,000 for MileagePlus and 234,000 for KrisFlyer. That means you could fly from Australia to New York via Vancouver and spend however long you like in the Big Apple. Then you can make your own way to and fly out of Toronto (or any other North American city that Air Canada serves) back to Australia via Vancouver. Whatever Air Canada space that shows on the United website at Saver Award level should be available to book through its partners. Step 4: Book online with both United MileagePlus and Krisflyer for free, Avianca LifeMiles ($25 USD online vs $85 USD by phone) and for Asia Miles, write down the date, route and flight number and call 1800 129 264. On shorter flights, like Vancouver to Calgary or Toronto to Montreal, expect a very similar product to what we have on most domestic routes here in Australia and New Zealand – angled-flat seats in a 2-2 configuration. We reviewed this product here. 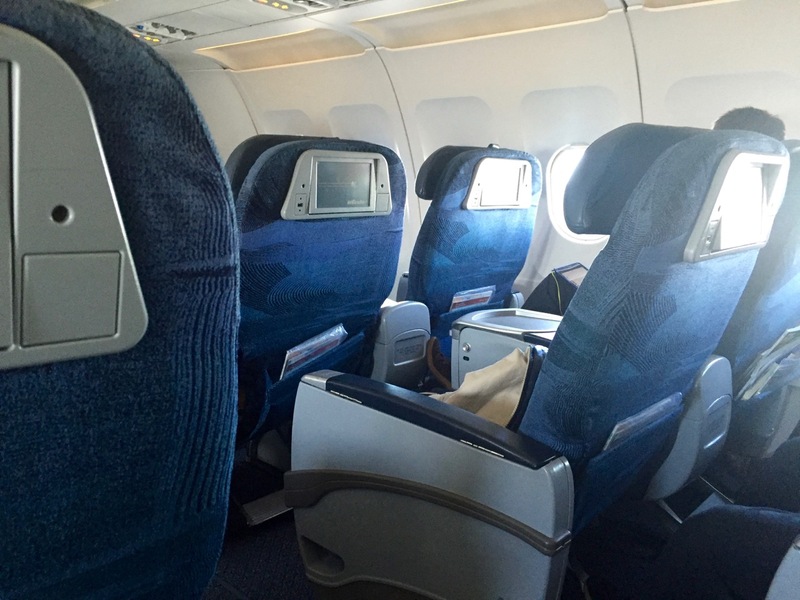 However, on longer transcontinental flights such as Vancouver to Toronto, some flights are operated by Boeing 767, 777 and 787 Dreamliner aircraft, all of which have lie-flat Business Class seats in a 1-2-1 or 1-1-1 configuration, giving direct aisle access to all passengers. You can use Google Flights to find out which aircraft is servicing the flight you’re looking at. With a lot of flight frequencies, it will most likely be the more expensive cash tickets that will have the superior Business Class product, so go to the bottom first. Reviews of Air Canada’s onboard food and drink service are average, so you may want to take the opportunity to dine more substantially in a lounge prior to your flight. 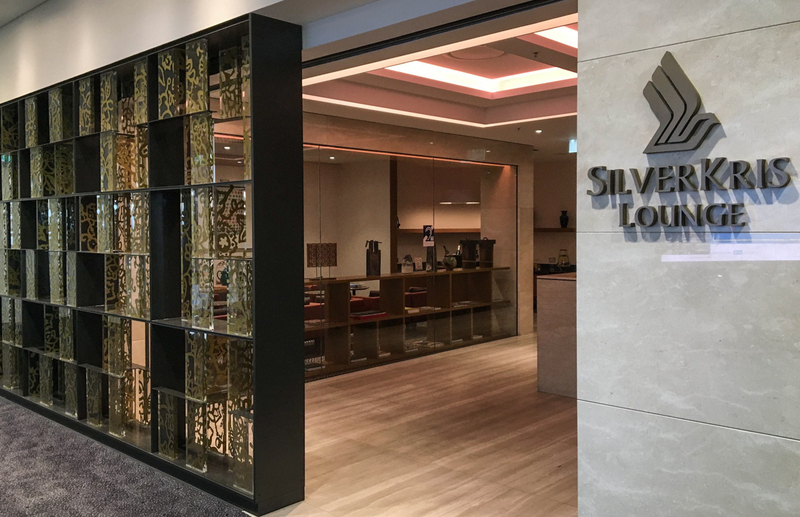 No matter if you are leaving from Sydney, Melbourne or Brisbane, you’ll have access to the Air New Zealand or Singapore Airlines SilverKris lounges. 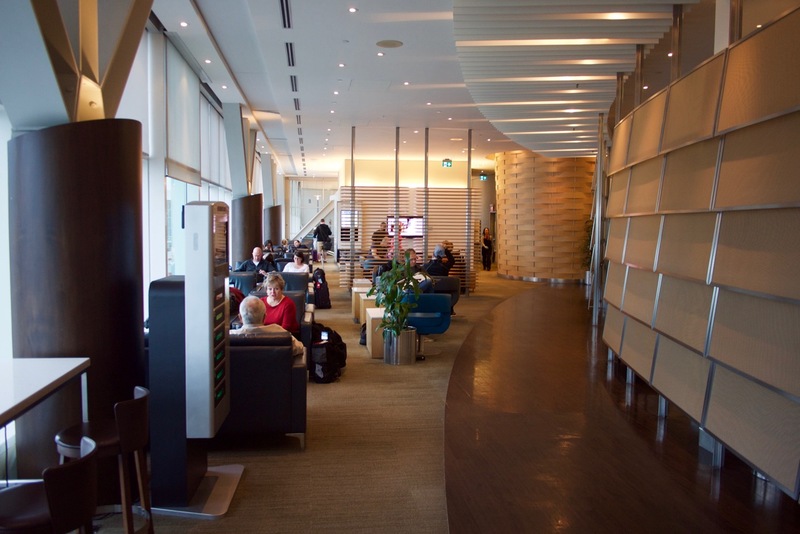 If travelling onward from Vancouver to Toronto or New York, you’ll enter Air Canada’s Maple Leaf Lounge (pictured below). On the way back, from Toronto, you’ll again enjoy Air Canada’s Maple Leaf Lounge, whilst Air Canada flights from New York’s Newark Airport depart from Terminal A, where there are no Star Alliance lounges, meaning that you would have to access the Lufthansa or SAS lounge in Terminal B or one of the United Clubs in Terminal C and catch a shuttle to Terminal C for your departing flight. That’s assuming you can access Terminal B or C without a departing flight from one of those terminals, so you may just be best to play it safe and forgo lounge access. Air Canada redemptions are best suited to travellers based on the East Coast, and value is maximised by booking a roundtrip award to North America with KrisFlyer and MileagePlus rather than a one-way in order to take advantage of a free stopover and open jaw. 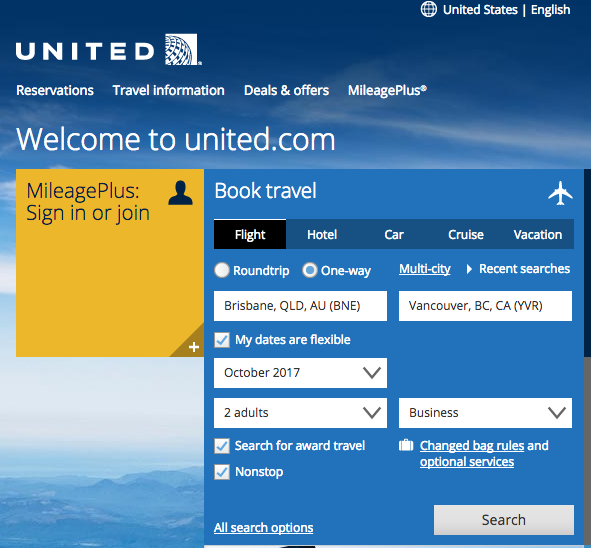 I tried following the instructions on searching through United.com site but it doesn’t seem to return any direct Air Canada flights no matter what date I put in (tried searching both award and non-award flights). Route in question I’m looking for is SYD-YVR. You might want to try the Aeroplan or KrisFlyer websites for comparison purposes. Hi Matt, any further news on the Virgin and Air Canada partnership? Love your work! This article is a go-to for me as we have family in Canada that we need to visit every year or two. 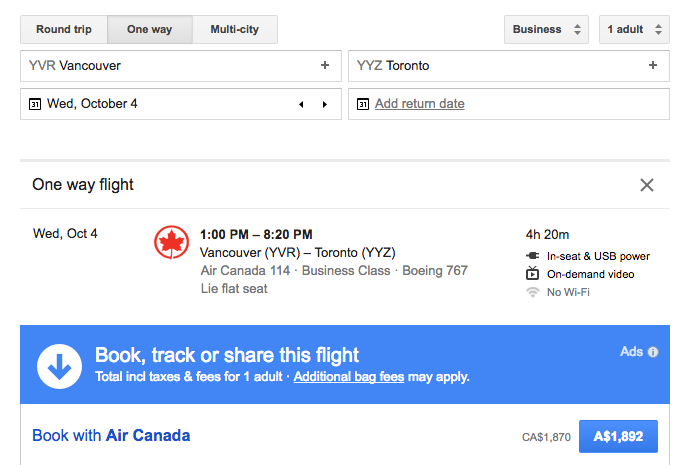 A query, though: I am currently trying to book YYZ-YVR return on AC using Krisflyer Miles. 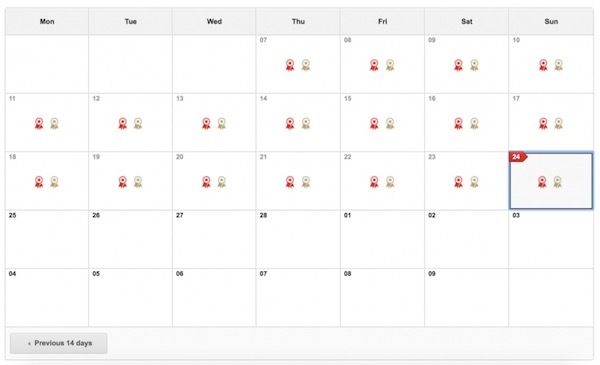 Availability that shows up on the Krisflyer site differs to availability on the United site. I called Krisflyer to clarify and their availability differed again, even from what I could see on their own site! Any idea how to book what I can see on United’s site with Krisflyer Miles? Is it a simple (or not so simple) case of escalating through the call centre? As an aside, this isn’t the first time I have come up against the United-Krisflyer availability discrepancy. Hi Pete, put simply—what the KrisFlyer phone agents can see is what you can book. The KrisFlyer website only just transitioned last month to show partner availability, so that may be having some teething problems. You could try the ANA website for comparison too. Hope that helps! Thanks for the timely and insightful guide. Fly Brisbane to New York (with layover in Vancouver). Stay in New York for X amount of time. Fly from Vancouver back to Brisbane. Stay in Vancouver for X amount of time. It sounds like your question is about at what part of the trip you can use your free stopover on a roundtrip Business Class redemption with 195,000 KrisFlyer miles. From what I can understand, you can stop over in Vancouver either on the way to New York or on the way back – the order isn’t important. A roundtrip award redemption through KrisFlyer allows for one free stopover, so you could choose Vancouver as that place on the way to or from New York, flying Air Canada Brisbane – Vancouver, and then Vancouver – New York on Air Canada or United. Let me know if I’m missing something there. Hi Matt, this is a useful article thanks. I am flying air Canada BNE-YVR-YUL and then return back to BNE next week, and wondering what would be best points to accumulate on this flight. I am not AC aeroplan member, but I am AirNZ airpoints, QF, and Velocity member. What should i travel as? Or do i even have a choice? This guide should help you answer that question! I don’t have any inside word on this. The partnership was announced a while back now, so I’m doubtful it will be anytime soon. We will definitely do our best to update this guide when we hear of any changes. Booked J class for my wife and me from Syd to YVR in July using Lifemiles. Want to add my infant son as a lap infant. My understanding is that AC has to add the infant (paid ticket) but they refuse to do so as they claim its not their ticket stock. Say to ring Avianca but they also refuse to ticket the infant. Have rung AC many times in Aus and USA multiple times but cant seem to find anyone who knows how to do the booking. Any ideas or cotacts you know of? Thanks David. Hi David, that sounds like a frustrating situation for you. While I don’t have the answer myself, someone might if you post in the Questions section of the website. I haven’t heard of this happening, Greg. Maybe give them a call back and let them know that you’ve found it on both the United and Aeroplan sites. They should be able to book the same. Thanks for the reply Matt. I called SQ 24 hours after my previous enquiry and spoke to another operator and they said that AC don’t often release awards seats to them and if they do it’s usually a few weeks out from departure. I also phoned TG for a Star Alliance ROW redemption however AC hadn’t allocated any seats to them either on the dates which were showing availability on United and Aeroplan 🙁 Transferring AMEX points to SPG and then to United or Aeroplan just isn’t good value. So now I’m not sure what to do. Any other ideas? Thanks! 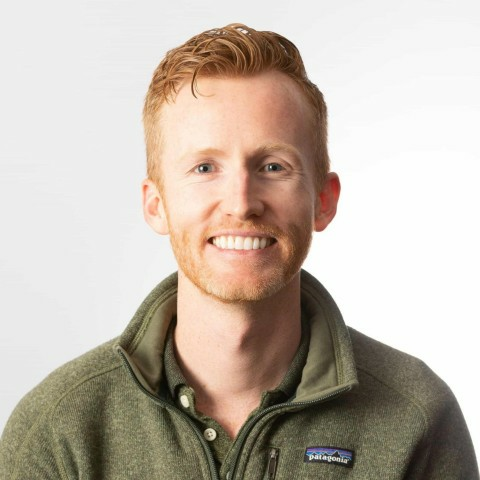 Hey Matt, thanks for a great article. Do you know which partner is best for using miles on a US-Canada return flight (say SF-YVR) if originally departing out of the US? Alaska and Delta generally have better reputations than American Airlines and United. Ah OK! One-way Business Class redemptions within North America are 20,000 KrisFlyer miles vs 25,000 MileagePlus miles, so I’d go with KrisFlyer! Can’t speak highly enough of the Air Canada BNE-YVR-EWR B789 flight in business. One of my best combos to get to nyc and using united miles was handy! Hey Matt, a very useful article. I’m thinking of travelling to Canada mid next year, and as it currently stands my stash of points is mostly in Velocity (with a bit with Krisflyer). I remember reading that Velocity & Air Canada have struck up an agreement – any clues as to when redemptions of Air Canada flights through Velocity will be available? If it’s not up and running by the time I book then I suppose I could transfer my Velocity points over to Krisflyer, but am conscious of the 1.35:1 hit that you take; along with the higher fuel surcharges using Krisflyer vs Velocity. What would be the number of points required to fly to Vancouver and/or Toronto via either Sydney or Brisbane originating from Melbourne using Krisflyer points. I assume a virgin domestic flight would be redeemed? Good question. You would have to redeem two separate tickets as, according to KrisFlyer’s terms and conditions, you cannot mix travel on Star Alliance and non-Star Alliance partners like Virgin Australia. Very interesting. Thanks for this article and the recommendations.